So many scary things go on at school causing for many a tense thought or worry. I feel we secretly hope for a superman to be on call watching over and keeping our youth from harm. We know deep down it is us who must step up to the plate and be that super hero in the lives of our children. We've all heard it said, It takes a village and yet our village is so scattered and overwhelmed with work and life in general. In all reality are we missing out on the benefits of this village? It is after all the village that keeps us informed and up to speed on the current events of our children's lives, their peers and school. 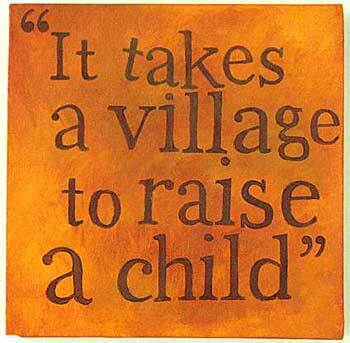 With the state of education in our country we must ask ourselves, have we, "the village" failed our children. Education is not the only vital development going on in our schools. Our children are being influenced, exposed and molded into adults in these troubled times. Do you really know your child. Maybe it's time you opened up and listened to the school snitch. You've no doubt heard about the trend in teen suicide due to embarrassing facts or lies said about them or aired for their entire peer group to witness. Read on as we explore how to utilize the school snitch, get the facts on bully's, drugs and the intimate details going on in our kids schools. Get the facts about bullies and other concerns in our schools. Do you have a good line of communication with your child. Your child's school is the best source for insider information. Do you have a good source within your kids school to provide you with the straight and honest facts. Have your heard of the hallway block. This is a ritual where the upper class men stand blocking the hallways not allowing anyone to pass, this causes the lower class men to be late for class, not to mention the humiliation. This is going on in the best high schools across the country. Issues such as this do not discriminate. There is the cluster or mob, this is when a large group of boys crowd around a girl when passing in the halls forming a mob around her, suddenly she's standing in the middle of a mob of boys who may do and say things before she's allowed to leave that she would never want to admit to someone else. Lot's of things go on each and everyday in your child's school that could make for a life altering moment. Do you feel you should be apart of this process? You can find your way into the information pool and make a difference. Yes you can and should, you just have to know how to work it. The school gossip or snitch may be your best friend. Getting the scoop on the 411 in your teens life. Where to get the scoop. Be alert and listen anywhere you can. Listen and remember the details to use later while fact finding with your child. Don't add or contribute information to this source, just listen, they don't mind they just love to talk. Nod and remember. Getting these tidbits will make your child aware that you truly are interested in them and their lives. There are a lot of useful informative sources. Parents need to listen and hear what their kids are saying. Many parents are in a state of denial or out of touch with the real life challenges and victories their child deals with. It may be that the stress and demands of life has you moving at such a intense pace you don't actually hear what your kids are saying. They may be mumbling now as they realize you don't really listen, its their last ditch effort and yet safety valve protecting them from rejection. Your child really needs for you to take the time to understand their lives and what they face day in and out. Kids know when your checked out and clueless about their life. Bottom line, this is the moment in time when you could lose your child. To who, to anyone else willing to get them and give them what they desperately need, someone, anyone that keeps them from being alone in this stage of life. If your child seems to be changing dig deep to find out what's going on. Don't buy into that old, "it's a phase" that's a cop out. Hear some alarming and yet real trends developing in schools and on campus's across the country. Tidbit - Have you heard about the trend of oral gratification going on in the schools. It's shocking but true. It's considered to be a safe way for girls to keep their boy friends happy without becoming in the family way. Have you considered this can and in fact does occur in and on the school grounds. Are you aware of the hot spots for such activity in your school. Wouldn't you want to talk to your sons and daughters about these facts to prepare and help them to make smart choices to avoid such situations. I'll Never Tell if You Don't Ask! Although your kid may seem independent and wants nothing more than for you to step aside in their lives this is not true. Do you get your child or is it someone else who will fill that need. 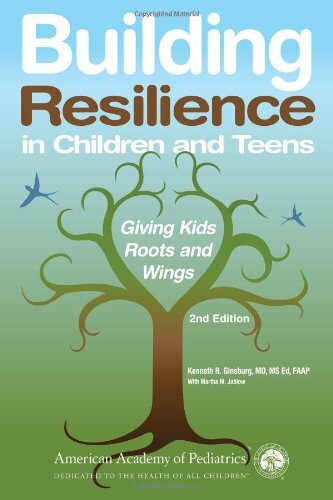 Kids need support and companionship as much if not more so than adults. Who's on their side, who is it they turn to during tense and stressful moments. Do you really feel they should or will just go it alone. Yelling and constantly nagging at your child puts you out of the loop, after all how many people do you trust with your secrets that yell at you constantly pointing out what you DON'T do. It is possible to successfully communicate with your teens in a manner you both enjoy. The time is now to develop a relationship with your child which includes embracing the individual person who is fast becoming their own person, adult. Unconditional love is a term that means to love someone regardless of the loved one's qualities or actions. The paradigm of unconditional love is a mother's love for her newborn. Unconditional love is often used to describe the love in an idealized romantic relationship. It may sometimes also be used to describe love between family members, comrades in arms and between others in highly committed relationships. Learn who's in the know and befriend this person to be informed. How to get the facts and inside scoop as to what really goes on in your child's life is simple. First respect the wealth of information available to you. Other parents hear things and yet don't say anything to you if your out of the loop or unapproachable. You've got to put yourself out there, letting other parents know you want to be apart of the village who has each others back and keeps them up to speed on everything heard or going on in the school. Pooling information from multiple families gives everyone a bigger picture to filter thoughts and come to a healthy reaction within your family. Learn to seek out and listen to the stuff you normally avoid. Listen to the rumor mill, the gossip and tune in to all the buzz. There is some truth to rumors if not completely there are vital tips and information to use to your advantage. Once you tune in and open a line of communication with your child the gates will open. You may first face resistance but once your child realizes your in the know they won't be able to resist correcting you on your misinformed facts. That's right, your kids will correct you and set you straight on the truth of the matter. So take all the information you can and run with it! Don't ever reveal your sources. 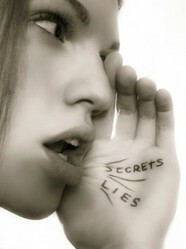 Keeping your sources secret sends a message to your child that your trust worthy. Understand the most important secrets you should make and keep. If your won't tell them your silly little rumor sources they feel confident that you will keep your own child's secrets safe as well. In time after a continued back and forth you will develop a give and take relationship with your child which will be rewarding and comforting to the both of you. There is a simple way to build trust and communication between you and your teen son or daughter. This Eb and flow is magical to the development of strong and lasting bonds between you and your child. You must realize this is a time for them to set you straight on the facts, a time for them to teach you. The time when you hear exactly what you've been dying to know. You will continue to share the things you hear with your child and allow them to filter those thoughts, give you the facts and build an amazing bond that will with stand the test of time. Let them know you appreciate and value them. We will build our information village here. Included with this article is a comments sections i like to call The Village. This is a section where kids and adults alike can leave feed back, facts and details about what really goes on in their lives and at school. This village is a safe and secure place for anyone to share the truth about real life issues kids and young adults face at school and in life in general. This will help us all to better understand and support the real issues. Share this web page with other parents allowing them to share so we can broaden our scope and gather more helpful facts and truths. A good place to share is face book and twitter. You'll notice a series of buttons at the end of this, just before the comments section. Share this there and frequently check back here from time to time as we grow in our knowledge and understanding. So go ahead be your own top secret spy and school snitch helping us to understand the facts get real and face the cold hard truths. Our village will make the lives of our youth better as we look head on with open eyes into the truth. Do you feel you have a good and open relationship with your child? I've never seen a case of a teen who doesn't talk to their parent, where the parent didn't share some part of the responsibility for that disconnection or alienation. If you judge your teen or react negatively when they share things, they will be very likely to close off to you, to just stop telling you things. It's a nearly universal human reaction. I think the best way to find out what your kid is doing is to listen to them, without judging them. That means, without punishing them or trying to control them. Some people are naturally more open than others, and a lot of people don't feel the need to share everything. It's never too late to salvage a damaged relationship. 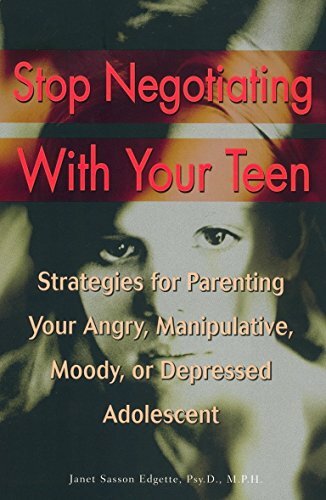 If you've judged your teen negatively based on things they shared with you, in the past, or if you've overreacted, one of the easiest and most effective ways to rebuild your teen's trust in you is to apologize to them about what you did in the past. And you can tell them that you want to listen to them without judging...and that you want them to call you out if they feel judged negatively by you, or if they feel like you're trying to control them. If you create this sort of trust, they will be much more open with you than if you try to treat them like an object to be controlled, the way some parents do. kajohu, Yes they do indeed and all the more reason for us parents to stay aware and realistic. Life gets so busy its easy to over look things we other wise would not. Happy to hear about the experiences with your sons. Both my daughters are very open and keep me informed, educate me and make me aware of things that would otherwise go right over my head. I do let other parents know about the things I learn that are pertinent to their lives. The village must keep its mouth shut and honor its loyalties. Great to hear from you! Our boys are grown and out of the house now, but we were pretty lucky with them and how they did at school socially. They had their small groups of friends, and they said they weren't aware of much bullying. That doesn't mean it didn't happen, of course, but I think they escaped it. 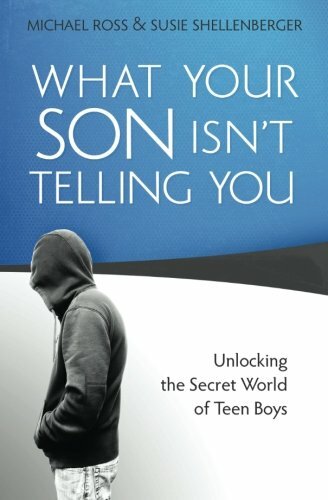 Our younger son has always been more closed-mouth around us, so I think there's more of him and his experiences that we didn't hear about. But he's been good friends with the young lady across the street, and we'd hear from her parents if anything was up with our son that seemed amiss. We appreciated that! I've also heard about the "oral gratification" problems at their high school but this apparently was happening after they were out of school. Young people have so much to deal with now! Lets keep the lines of communication open for our kids. My daughters both went to girl power classes when in the 4th grade and that book Queen Bees and Wanna Bees was part of the course, it is a great read. I should add it to this page, thanks Kelly :) Great having you both. Girls can be so caddy. Angel i would tell your daughter to never ever share her password. Queen Bees and Wanna Be's is a Great book for you and her to read. This is a great idea Katie love this site and will be back . My kids sometimes hesitate to talk too much to me because I do get involved. They say it embarrasses them. My daughter is being bullied right now and my son is having the same problems. I am so ready to move from this place to our new home but fear a lot of the same will happen. There are so many mean children out there today that get off on picking on other children. Makes me so mad. My daughter innocently gave a so called friend of hers her facebook password the other day. The girl went and posted nasty things as though Haley was saying them on facebook. Haley knew it was her and has cried for days now. The things that were said I would never think a 4th grader would say. Unbelievable.